We love to hear from all our patients! If you have some time and would like to comment on the care you received from our office, please leave us a review by clicking one of the the Write a Review links below. Your feedback is how we will grow as a company and improve our relationship with you the patient. 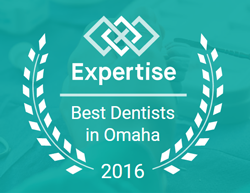 We take pride in our practice and want to make sure every patient leaves happy and healthy. For me kindness and consideration are the words that I would use to describe the best dental care that I’ve received from a dentist in my 50 plus years. The Doctor and Staff will work with you to remove all fear… and provide the most comfortable, safest and most professional dental service you could ask for. Don’t want to work out or go to the dentist but need to do both! So I drag myself to the gym and as far as the dentist goes since I need to go I will go to Quality Dental Care! I’ve had several dentists in the past and Quality Dental Care is by far the best! Hygienists are super gentle, friendly, and the dentist is great too! I actually don’t worry about going to the Dentist anymore! Thank You Quality Dental Care! Standard cleaning plus follow up on an oral tissue issue that had been previously identified. Quick and painless! That’s what I want out of my dentist. Recommend Dr Lecci and these folks without reservation. If this isn’t your dentist office, it should be! I have nothing bad to say about this place. Everything is neat, clean, organized, up to date. The staff is caring and is always there to help answer any questions you may have. I’ve searched a long time for a dentist like this. Well done everyone at Quality Dental. You’ve restored my faith in dentistry once again!